I was starting to believe that my room would never come together. A solid week later, I feel much better. This bulletin board is located in the front of the room. 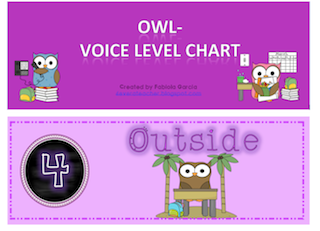 I placed my voice level chart and my learning objectives here because I wanted them front and center. 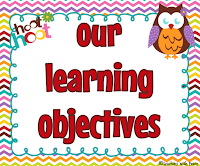 My school has been highly encouraging learning objectives and the voice chart was wonderful last year. I just had it go with this year's theme. You can get your copy of the voice level here. 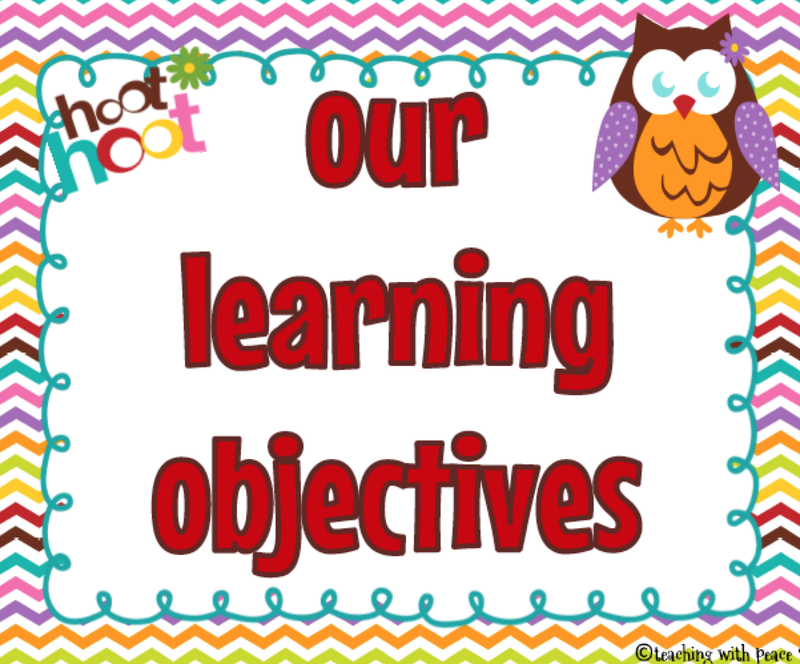 The very cute and colorful learning objectives are from Teaching with Peace. These are my WBT (Whole Brain Teaching) rules and clip chart bulletin. 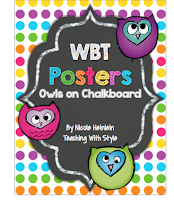 If you like the owl behavior clip chart, you can click here for your copy. The rules are a free item over at Teaching With Style. Believe me they are sooo cute! This is my Daily 5 bulletin. I have the bigger pictures for quick reference, and the smaller pictures I am using them in a pocket chart where students and I can move the clips. I may end up with the big clip chart and pin the pins there. I am not sure. 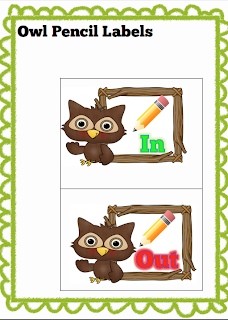 If you want your copy of this adorable Daily 5 clip chart click here for your free copy from Second Grade Discoveries. 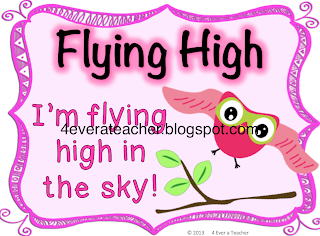 Miss Bily has lots of cute ideas and resources, so head on over and take a look. This is the beginning of my Writer's Workshop bulletin. I am not done, but my process chart is and I love it! I got it from First Grade Glitter and Giggle. Click here for your copy. This is my calendar bulletin board. I do it religiously every day. The blue chart is where I will be doing a pattern when counting by multiples of 2, 5, and 10. We will then add 3s, 4s, and 11s. Place value I work on as much as possible. It is a very important foundation for math as they progress through the grades. I found that Calendar math is a very powerful tool that provides the much needed repetition, review, exposure, practice, and challenge. The group that just left me after 5 years had 17 out of 20 scoring advanced in our state testing, and believe me when I tell you I know Calendar math had A. LOT. to do with it. I will post about my firsties math journal as they begin to work on them. And last, but definitely not least is my CAFE bulletin. And yes, they had to be owl themed. I am weird that way. I will be posting pictures of my kiddos reading right under the title and the descriptors for each letter will be placed as they are taught. 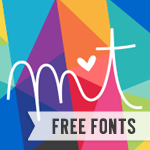 The letter headers are a free item from Alissa Manning-Telisak. The posters are a free item from First Grade OWLS. Her room is adorable. I really like her decorations and she has tons of owl ideas and resources. Aahh! she inspires me. I looked everywhere for owl labels for my in and out pencil cups and couldn't find any so I made my own. Click on the picture for your FREE copy. As you can see, I have been very busy acquiring all things owl-both free and purchased items- from fabulous teachers. Every year I try so hard not to go overboard with time and money--well I failed at both, but I L.O.V.E. my room. Are you ready for your kiddos? Thanks for being "OWL" inspiration! 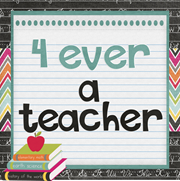 As a teacher, I really appreciate all of your wonderful ideas! YOU get a HOOT! HOOT! from me! Wishing you a blessed school year! You are very welcome. It means a lot to me to know that my ideas are helpful.